If you live in a relatively new apartment or house in British Columbia, or one that has been upgraded to be more energy efficient, you probably take a few things for granted. Presumably, the air in your home is healthy, the walls are free of mould and moisture, and the windows are free of condensation and drafts. You may also enjoy comparably low utility bills — a result of your well-insulated home and energy-efficient lights and appliances. However, if you live in an older building, or one in need of upgrades, you might be keenly aware that your home lacks these benefits. This is the reality for many residents of B.C.’s non-profit housing buildings, many of which are aging and in real need of renewal. Leaky, unhealthy, and inefficient buildings disproportionately affect some residents of affordable housing, who may already be more vulnerable to health and affordability impacts. Imagine if we could transform B.C.’s affordable housing — making units healthier, more comfortable, and more affordable for residents while giving the buildings a much-needed makeover? That’s the vision behind the Affordable Housing Renewal pilot project, launched by the Pembina Institute in partnership with B.C. Housing and the B.C. Non-Profit Housing Association, with support from Natural Resources Canada. It aims to kick-start new ways to retrofit and refurbish buildings — cutting energy use and carbon pollution while protecting the cost of living in the face of increasing energy prices. Despite the many benefits that come with improving our homes and buildings through retrofits, in Canada we often see investment in buildings deferred or limited to low-hanging fruits yielding marginal energy savings. There are a few reasons for this. Firstly, building owners are often reluctant to make investments in buildings that do not pay back in a reasonable time frame through energy bill savings. Most people perceive an acceptable payback time to be no more than six to nine years. However, a well-refurbished building can last for 50 years or more. Projects that take longer to pay back can still be worthwhile investments, with strong internal rates of return or net present value. A second problem, related to payback time, is the relatively low cost of energy here in B.C. — among the lowest utility rates in North America — and the mild weather. This makes the business case for reducing energy use harder to justify. Another significant challenge with retrofitting residential buildings is the disruption to occupants when major work needs to be done on insulation, windows, or mechanical systems. These issues and others have resulted in a lot of buildings in the province being drafty, leaky, or poorly insulated. Because we often burn natural gas for heating in B.C., this means our buildings are also generating far more carbon pollution than they would if they were more efficient. These problems are precisely what an aggregated retrofit approach is meant to address. Aggregation of demand simply means that we look for a building type, such as low-rise apartments, that is very common. We then group together a number of these similar buildings into one large project that companies can bid on, just like in any other infrastructure project. By designing a retrofit solution that is easily repeated, rather than customizing a bespoke solution for each building, we can drive up economies of scale and drive down costs. Another advantage of the aggregated approach is that grouping together a large number of buildings in one competitive bidding process could attract new players to do the work, whether larger construction companies or smaller boutique firms bringing the right players together in a consortium. These entities can dedicate resources for research and development and come up with innovative, low-cost technologies and solutions to deliver the retrofits. One innovation that has generated a lot of buzz in the renovation industry is prefabrication. Some prefabricated components, such as large structural insulated panels (or SIPs), are already in use in the industry and can cut installation time and effort significantly. Pooling together a large number of similar buildings could enable prefabrication to reach the next level. In the Netherlands, techniques like 3-D laser scanning are used to create a computer model of the buildings, which is then used to fabricate customized insulated panels that perfectly fit the exteriors. Using this method, improving insulation, airtightness, and moisture resistance is as simple as attaching these panels to each building, something that can be done in a few days and without disrupting occupants. This approach to social housing renewal is inspired by a Dutch initiative called Energiesprong. Energiesprong (translation: energy leap) is a retrofit aggregation program that has been piloted in social housing all over the country. The Netherlands has a plan to deliver over 100,000 net-zero energy retrofits through Energiesprong, and has completed over 2,000 so far. These building retrofits are completed in a week or less (even just one day), with all of the components designed and prefabricated off-site, and then installed with minimal disruption to occupants. The Energiesprong model is catching on in the rest of Europe as well, with pilot programs starting in the U.K., Germany, and France. Closer to home, the New York State Energy Research and Development Authority (NYSERDA) is about to launch RetrofitNY, an ambitious pilot program similar to Energiesprong, with six to 10 design teams being selected to work over the next few months to design an affordable and scalable retrofit solution for New York state’s high-rise apartment towers. The Rocky Mountain Institute and the Net Zero Coalition are also leading a market development program called Realize; some of their team members presented their learnings at our last thought leader forum. These jurisdictions have recognized the benefits of an integrated market development approach in reducing energy use and carbon pollution, while extending the life of homes and making them healthier. Now, the idea is starting to catch on here in Canada. In B.C., there are nearly 100,000 units of social, affordable, and non-profit housing, over half of which were built before 1990. Many of these are owned and managed by B.C. Housing, but the majority are owned by non-profit housing societies, whose diverse portfolios range from one building to dozens. One of the unique challenges facing B.C. affordable housing is the multitude of structures under which tenants pay for their rent and utilities, which may be partially or fully subsidized. This makes the business case for retrofits more challenging and makes a made-in-B.C. solution — one that applies the principles of Energiesprong to our particular context — essential. Another issue that will need to be resolved as the concept of aggregation is applied across larger regions is the vastness and diversity of B.C. (and Canada) compared to the Netherlands. There, a single solution could be developed that works for the whole country, with components easily shipped from a central location. In B.C., the diversity of climates and huge distances between cities adds some real complications and might reduce the number of buildings that can be effectively bundled. Still, we believe the approach has value for B.C. and for Canada — and we are not the only ones. In Ontario, Sustainable Buildings Canada is advancing a similar project. By aggregating demand for retrofits in the social housing sector, we can develop solutions that improve the lives of residents, and which can then be applied more broadly to market rental and condo housing stock. By working with industry partners, we can explore what solutions are available and craft a replicable integrated deep retrofit approach that is suited for many of our rental buildings. Working collaboratively, we can overcome procurement, supply chain, and policy barriers in order to scale-up the idea to other markets. While making notable progress in reducing utility bills and carbon pollution, many building retrofit projects have so far primarily benefited large companies and higher-income individuals, due to affordability barriers and limited opportunities for engagement. Low-income and marginalized households across B.C. are often the last or least to benefit from new green buildings or energy efficiency initiatives. Investing in affordable housing provides an ideal opportunity to take a more equitable approach to urban development, one that benefits the entire community. Our Affordable Housing Renewal project will not just benefit residents of affordable housing. 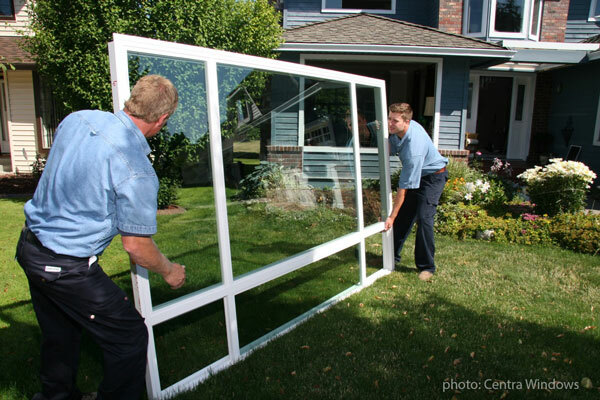 Increasing demand for retrofits and energy efficiency creates economic activity and jobs (as many as 20 jobs for every $1 million invested). 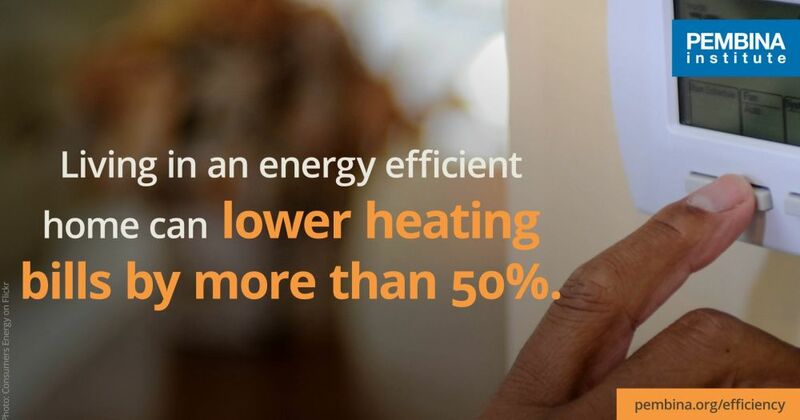 Energy efficiency is also one of the lowest-cost ways to reduce carbon pollution. Recent funding announcements by the federal government and statements by our own provincial government show they share a common interest in reinvesting in our buildings to reduce emissions and revitalize the spaces where we live and work. The challenge of future-proofing our homes and buildings in B.C. over the coming decades is a formidable one, but it also represents an amazing opportunity to revitalize our communities. Through the Affordable Housing Renewal pilot project, we want to bring industry, government, and the social housing sector together to find affordable, fast, and scalable solutions to the challenges of aging, unhealthy buildings. As we are about to invest significant public funds into social housing projects, both new and refurbished, we believe this is a timely conversation. An earlier version of this article appeared on the website of Building magazine. Note for social housing providers, and contractors and manufacturers working in the retrofit space: We will be hosting a by-invitation workshop in the fall to share research results, ask for feedback on program design, and identify partners for a pilot. If you are interested, please drop us a line! New projects are demonstrating what is possible at the highest levels of energy efficiency and paving the way for the widespread adoption of buildings that meet the needs of a low-carbon future.